I love projects that make use of old favorites things, ones that might otherwise be forgotten or thrown away. This old sweater is too small for Natalie, and the neck opening is too large for Ella. It falls off her teeny shoulders. For my second attempt, I overcompensated for my earlier mistake by making huge, baggy mittens that looked more like potholders. Fortunately you can re-sew a smaller shape then trim the excess material. 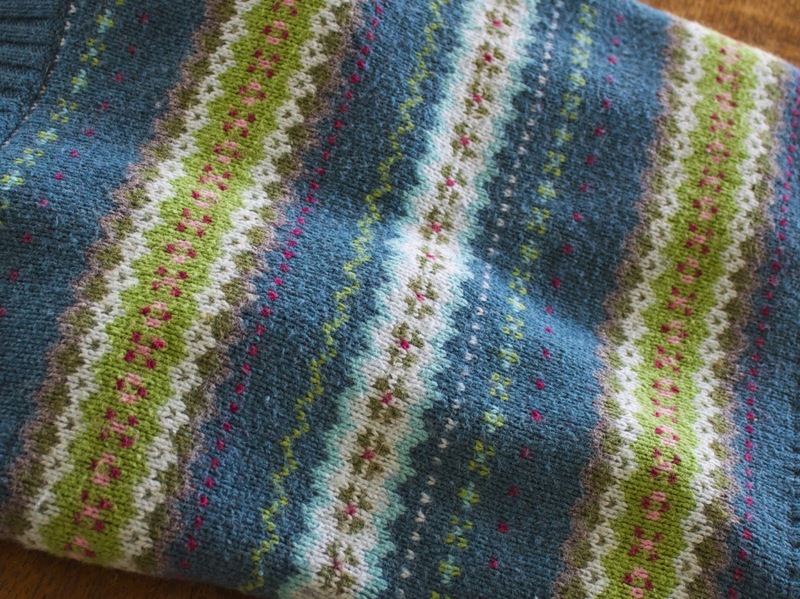 I love the colors in this fair-isle print. 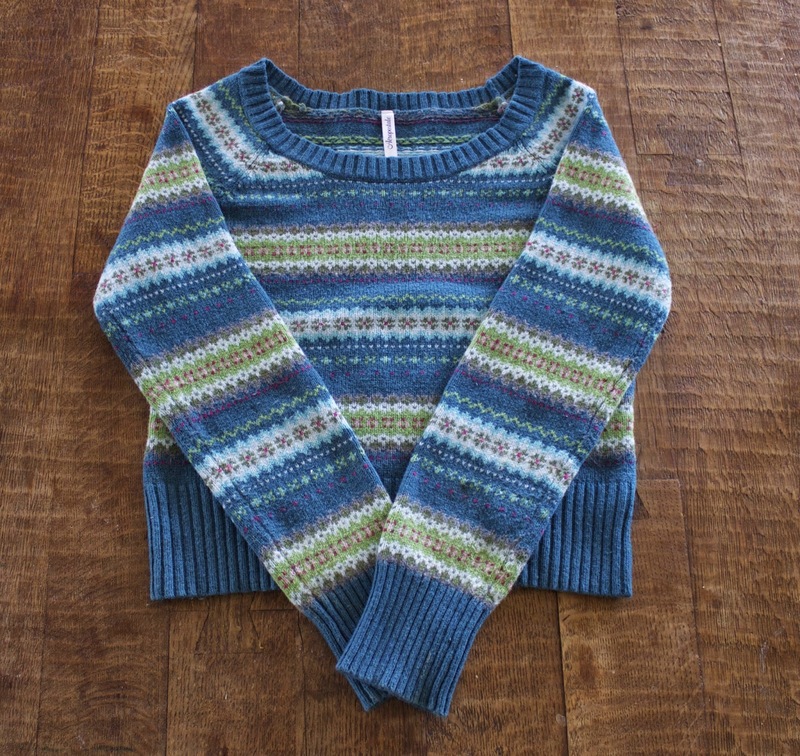 I saved the arms of the sweater and other large scraps that could be used for another project. This is the perfect project for me. I don't like to measure or pin. I adjust as I go. Maybe this is why it took three attempts to get it right? Whatever. Martha Stewart I am not. 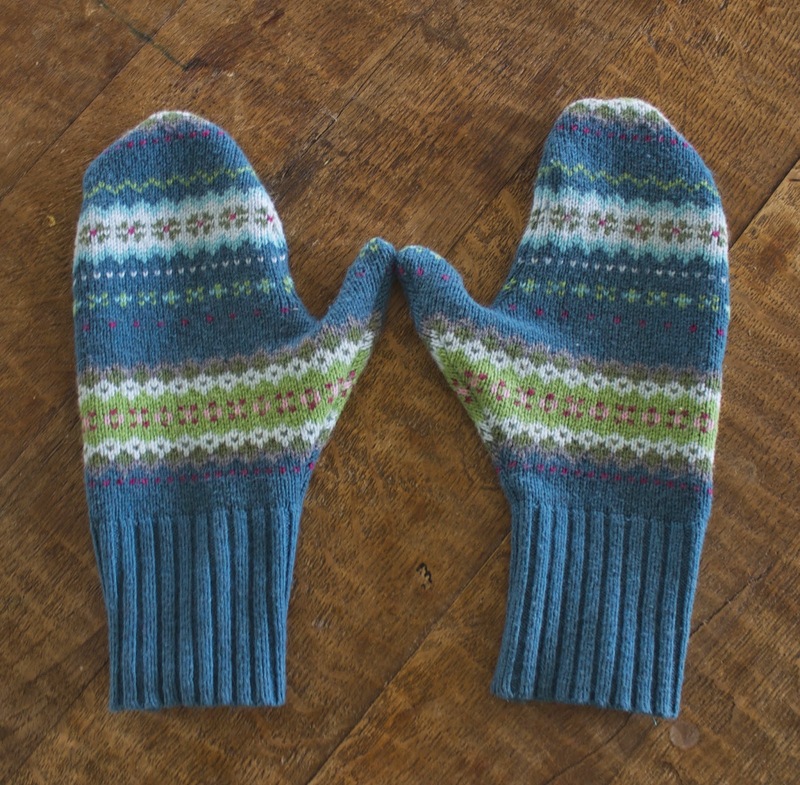 I made a second pair from an old red sweater, because after that success, I caught the mitten-making bug. I was high on home-made mittens. 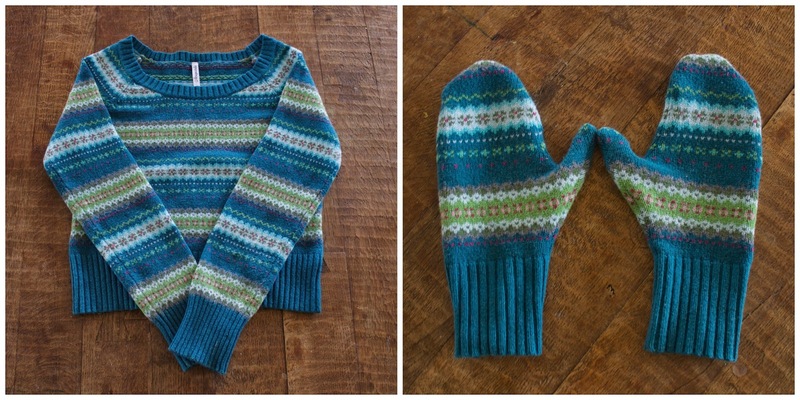 Natalie claimed the fair isle pair, and the red ones are too big for Ella, so I'll have to make a third pair for her. And then I'll officially be sick of this project and never make another pair. But it was good while it lasted. And our household will be three pairs of mittens richer.